With the 2016 Sundance Film Festival officially underway, we begin to seriously look at what may intrigue the cinemas throughout the year. Also, what films coming out of the festival may have a leg up. Eat That Question – Frank Zappa In His Words, a documentary centering around the musical icon may have one considering Sony Pictures Classics has just acquired worldwide distribution rights to the film. Set to premiere next week in Sundance, the film directed by Thorsten Schütte (World Jazz) showcases the talent and influence of Zappa’s career. 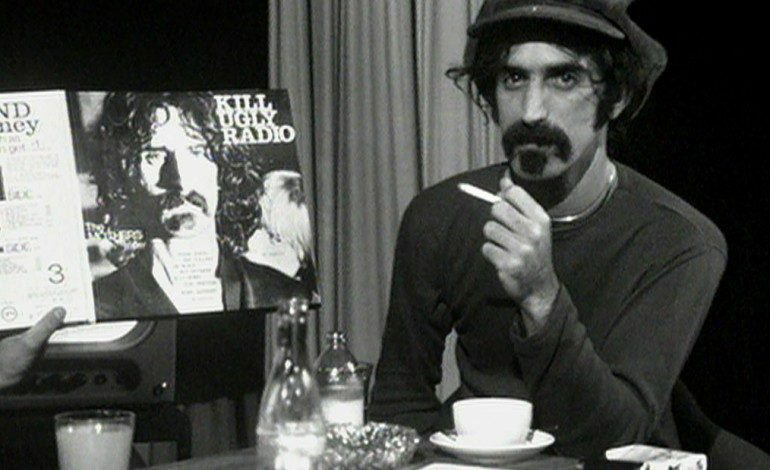 Framed with archival footage of past interviews and performances, the documentary explores the creative influence of Zappa- a self-taught composer- and his button-pushing attempts to rid censorship. Sundance has a proven track record for highlighting some of the strongest and most noteworthy documentaries throughout the years- two films currently nominated in the Best Documentary Oscar category (What Happened, Miss Simone? and Cartel Land) both premiered at last years’ film festival. The seal of approval from Sony Pictures Classics may help Eat That Question – Frank Zappa In His Words later on if the film is able to collect buzz following its world premiere. Sony Classics previously picked up another Sundance doc centering around a musican- Searching For Sugar Man– and kept it going all the way to an Oscar win. The film marks Sony Classics first pick up of the festival. They are typically a fairly active buyer as they picked up 2015 Sundance favorites Grandma and The Diary of a Teenage Girl. The year prior, Sony Classics acquired the Grand Jury Prize winner Whiplash, which went on to earn a Best Picture Oscar nomination. There’s no word yet on release date plans.